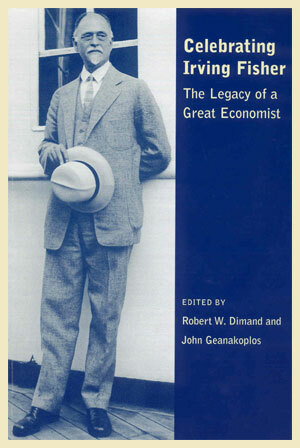 I'm delighted to be able to add a few words to this volume that celebrates the work of my grandfather, Irving Fisher, and explores the major themes of his life. The papers collected here naturally focus on his professional contributions, which I am not equipped to address. My words must be more personal. I was not quite 10 when my grandfather died, and so never had a chance to know him as an academic, only as a kindly gentleman who visited our home on important occasions. But a few threads of my grandfather's professional life seem to have been woven into my own, nevertheless. The papers in this volume show that many of my grandfather's contributions involved using equilibrium concepts to model the complex interactive behavior of economic systems. That approach clearly owed much to the work of his mentor J. Willard Gibbs, who had earlier published the definitive treatment of the mathematical conditions governing equilibrium in heterogeneous chemical systems. Much of my early geological work involved using equilibrium models to explain the dynamic patterns recorded by mineral assemblages in rocks found in the eroded cores of mountain ranges. Because the simplified treatment of chemical equilibria in most of the standard texts of physical chemistry is unable to cope with the complexities of geological systems, I had to return to Gibbs's original papers for a more complete treatment. So in an odd sense Gibbs became my mentor, as well as my grandfather's. And in a way it was my grandfather who introduced me to our joint mentor by financing the publication of Gibbs's collected works, which taught me the thermodynamics that I needed to know. I am deeply indebted to my grandfather for the profound epistemic humility that he displayed when the Depression of the 1930s undermined both his personal and his professional fortunes. How galling it must have been to hear his ill-timed remark about the stock market's permanently high plateau repeated over and over! But my grandfather hardly seemed to notice. Instead, he returned to his office and quickly published two books on the market crash  books intended not to bolster his pre-1929 ideas, but to explore the lessons of the crash. That example has several times helped me to see new possibilities when my own ideas have begun to uravel, and will always stand as a reminder that new paradigms emerge from the ashes of the old. But my grandfather's most important gift was his deep personal commitment to using economics to address concrete problems facing the nation and the world. The sense that science (in my case, earth science) had something important to say about how to live came later to me than to my grandfather, but it did come. Most of my work in the last decade has been devoted to learning how to live sustainably in an ever more crowded world, one in which the fate of all humans is increasingly connected by the many strands of globalization. When pressured to return to more traditional geological work, I am grateful that he showed me the importance of using science to live wisely. I hope that his example will also encourage the next generation of scholars to move beyond the narrow disciplinary boundaries within which most academics are trained, and to respond imaginatively to the needs of an increasingly complex world.